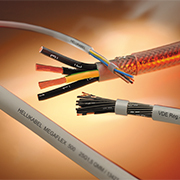 Established in 1978, HELUKABEL is a global manufacturer and supplier of cables, wires and cable accessories for industrial applications. The combination of high quality, technical expertise, extensive product portfolio and smooth, worldwide logistics operations makes HELUKABEL the worry-free cable experience. 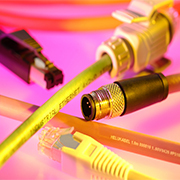 HELUKABEL USA’s product line includes flexible control and tray cables, data & network cables, servo motor & VFD cables, pre-assembled cables, high-flex robotic cables, and BUS & Industrial Ethernet cables, as well as cable glands, connectors, and installation tools. 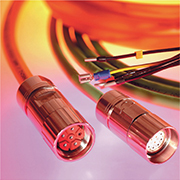 Our cables are designed to meet the tough requirements of today’s manufacturing lines, such as automotive, chemicals, food & beverage, and renewable energy. 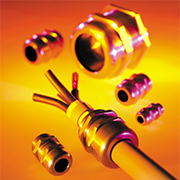 The cables are resistant to oil and coolants, extreme temperatures, abrasion, torsion, UV and more. 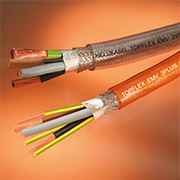 The cables comply with several international cable standards, incl. UL, CSA, CE, RoHS, HAR, VDE and CCC, enabling them to be used in applications worldwide. A fully-automated, 1.85 million sq. ft. logistics center in Germany, and a 44,000 sq. ft. warehouse in suburban Chicago, allow us to deliver the cable products you need, when you need them. We can pick, pack and ship most orders within one day and serve the North American market on a just-in-time basis.